Air quality matters. That’s why you trust Aprilaire to keep your home environment safe for you and your family. 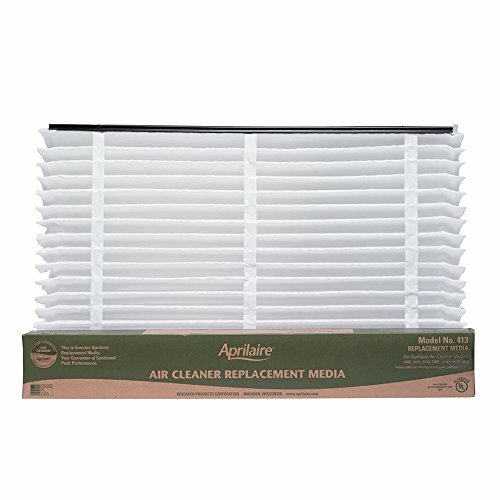 This genuine Aprilaire 413 Air Filter Replacement is rated MERV 13. That means it makes the air in your home fresh and healthy so your family can breathe easy. It’s proven to prevent 93% of particles between 3.0 and 10.0 microns from passing through your home’s heating and cooling system. That includes dust, pollen, and mold spores, which can irritate allergies and worsen asthma symptoms. Annual air filter replacements are a great way to keep your home and family protected. Aprilaire makes it easy to know what you’re breathing.